Are you trying to enhance your land but can't find the funds or technical assistance to achieve your goals? If your land management objectives include conservation enhancements, there may be a program available to help provide you with both financial and technical assistance. Check out the list below for some ideas and resources that may match your needs. Many of these programs and incentive programs are administered or facilitated by NRCS, Lincoln SWCD and watershed councils on behalf of landowners. 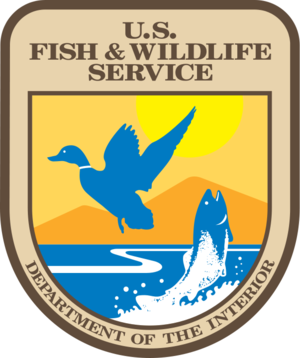 The Natural Resource Conservation Service is an agency within the United States Department of Agriculture. The NRCS provides access to multiple conservation programs some of which they partner with Farm Service Agency to administer. Lincoln SWCD and the Mid Coast Basin (Oregon) NRCS Conservationist collaborate on many projects together. The Mid Coast Basin Conservationist shares office space at the Lincoln SWCD Office. CREP is a program that helps agricultural producers protect environmentally sensitive land, decrease erosion, and restore wildlife habitat, and safeguard ground and surface water. By using a partnership between producers, tribal, state and federal governments, sensitive areas are enrolled under a rental agreement to protect the resources on that site. See www.fsa.usda.gov for more information as this is a Farm Service Agency administered program. The program provides an opportunity for landowners to receive financial incentives to enhance wetlands in exchange for retiring marginal land from agriculture. There are three enrollment options: Permanent Easement, a 30-year Easement, and Restoration Cost-Share Agreement. For more information on this NRCS-administered program, go to: www.or.nrcs.usda.gov. Farmers and ranchers may receive financial and technical help to install or implement structural and management conservation practices on eligible agricultural land. Contracts can be 1 to 10 years in length with a cost share of up to 75% (generally falling into the 50% cost-share range). A sub-category to EQIP is the Conservation Innovation Grants. These are competitive grant awards to stimulate innovative approaches to environmental enhancement and protection, in conjunction with agricultural production. For more information, go to: www.or.nrcs.usda.gov. WHIP provides technical and financial assistance to landowners and others to develop upland, wetland, riparian, and aquatic habitat areas on their property. A noted difference between WHIP and other programs such as EQIP is that each application is ranked at the state level and is competing with other applications from across the state. For more information, go to: www.or.nrcs.usda.gov. OWEB provides a variety of grants. Project types include restoration, land acquisitions, education/outreach, technical assistance, and local innovation. All grants require at least 25% match. Grant application deadlines vary by project type; check OWEB’s website at www.oregon.gov/OWEB/GRANTS for detailed information and applications. The goals of this program, funded solely by hunting licenses, are to 1) increase wildlife habitat, 2) help mitigate for damage caused by wildlife, and 3) increase hunters’ access. To qualify for A&H funding, a project must improve wildlife habitat, increase public hunting access to private land or solve a wildlife damage issue. Some examples of projects that have been approved and implemented to date include development of wetland habitat, noxious weed control, improving wildlife forage on private lands, developing water in arid regions, riparian fencing, seeding after wildfire, hunting leases, land acquisition, seasonal road management and hunter access through private lands to inaccessible public lands. Projects may be on private or public lands, through preference is given to projects on private lands. Project grants are typically under $100,000 and no match is required. Applications are accepted quarterly, and decisions are made by the F&W Commission. Contact your local ODFW wildlife biologist (541-867-0300) or state program coordinator for assistance in drafting a proposal. This USFWS program can provide up to 50% of the cost, with a maximum of $25,000 per project, for work that improves habitat for fish and wildlife that are listed on the Endangered Species Act, or are proposed for listing. Project types include restoring fish passage, screening diversions, riparian restoration, fencing, off-stream water troughs and wetlands restoration. The program also funds improvements to habitat used by migratory songbirds and other non-aquatic wildlife. Application period is open; contact program coordinator Timmie Mandish at Timmie_Mandish@fws.gov or 503-231-6179. The goal of this program, funded solely by fishing licenses, is to fund projects that benefit sport fisheries. Applicants must be a public or private non-profit entity, or Salmon and Trout Enhancement Program (STEP) organization. Typical project award is under $100,000 and there is no match requirement, although matching funds are highly encouraged. For more information, contact state R&E coordinator Laura Tesler 503-947-6259 or check the ODFW website at www.dfw.state.or.us. The application can be completed on-line via the website; grants are awarded quarterly. Oregon Dept. of Fish & Wildlife will provide up to 60% of the project costs when installing a fish screen, up to $75,000. An Oregon State tax credit is also available. Dam removal and fish passage components can also be funded, but not fish screen maintenance or culvert replacement. Applications are accepted at any time for ODFW’s screen shop constructed projects and for pump screens. Privately constructed large project applications are accepted once each year. These would include large diversion screens such as used by irrigation districts. ODFW can access federal funds to help with the cost-share, but they like to have the water user put in at least 10% of the match. Article Content Oregon is facing increasing water demand and increasingly scarce water supplies. To adequately meet Oregon’s diverse water demands now and into the future, Oregonians must use their water wisely and efficiently. That means looking more closely at innovative water conservation and reuse programs and environmentally sound storage projects that capture available water so it can be put to good use when needed. 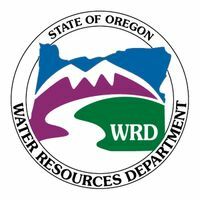 The Oregon Water Resources Department has $750,000 available for funding under the Water Conservation, Reuse and Storage Grant Program (Program). The Program provides match funding for project planning studies performed to evaluate the feasibility of developing a water conservation, reuse or storage project (OAR 690-600) These funds are available on a competitive basis to a local government, an Indian tribe, or a person. The Department requests that application for funding be limited to a maximum of $250,000. Funding recipients will be required to demonstrate funding from another source that is not less than a dollar-for-dollar match of the amount of Program funding requested (i.e., at least $25,000 from another source to match the $25,000 in Program funds requested). To be considered for funding, applications must be received at the Department’s Salem office between August 15 and November 1,annually. Applicants are encouraged to submit their applications prior to the November 1, deadline. *Comparative analyses of alternative means of supplying water, including but not limited to the costs and benefits of conservation and efficiency alternatives and the extent to which long-term water supply needs may be met using those alternatives; *Analyses of environmental harm or impacts from the proposed storage project; *Evaluation of the need for and feasibility of using stored water to augment in-stream flows to conserve, maintain and enhance aquatic life, fish life and any other ecological values; and *For a proposed storage project that is for municipal use, analysis of local and regional water demand and the proposed storage project’s relationship to existing and planned water supply projects. 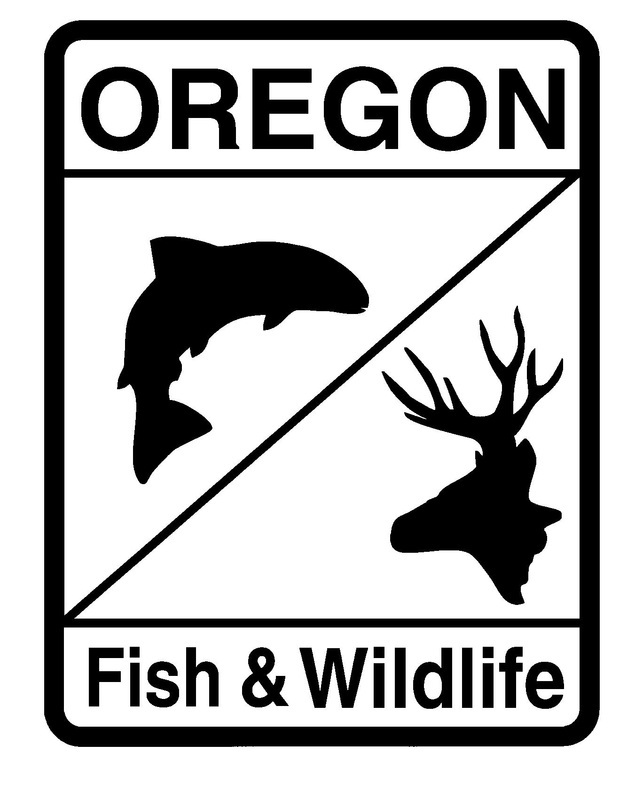 The Wildlife Habitat Conservation and Management Program (habitat program), administered by the Oregon Department of Fish and Wildlife (ODFW), is a cooperative effort involving state and local governments and other partners to help private landowners voluntarily conserve native wildlife habitat. The Oregon Legislature created the habitat program to offer an incentive for private landowners who want to provide wildlife habitat on their properties instead of, or in addition to, farming, growing timber or other land uses. Under the habitat program, land subject to an approved wildlife habitat conservation and management plan receives a wildlife habitat special assessment, where property taxes are assessed at the relatively low value that would apply if the land were being farmed or used for commercial forestry. The objective of the habitat program is to preserve, enhance or improve the composition, structure or function of habitat for native wildlife species. Prior to 2003 the habitat program was available only to rural landowners with properties zoned for exclusive farm use or mixed farm and forest use. House Bill 3616 in 2003 added land that is clearly identifiable as containing significant wildlife habitat. Now, counties and cities can select lands for eligibility based on zoning and/or significant native wildlife habitat. The Riparian Tax Incentive Program, authorized by ORS 308A.350—308A.383, offers a property tax incentive to property owners for improving or maintaining qualifying riparian lands. Under this program, property owners receive complete property tax exemption for their riparian property. This can include land up to 100 feet from a stream. For riparian land to qualify for this program, it must be outside adopted urban growth boundaries, and planned and zoned as forest or agricultural lands (including rangeland), or must have met these criteria as of July 1, 1997. Contact the ODFW Restoration Biologist to learn more.